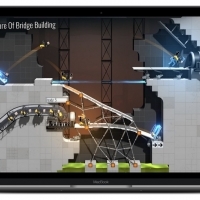 Headup Games today announced that its Portal spin-off game "Bridge Constructor Portal" is now officially available for players to buy on the Mac App Store for $9.99 [Direct Link]. 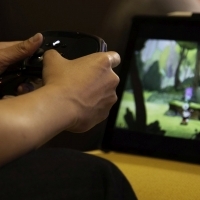 The game first launched on December 20 on the iOS App Store, Google Play Store, and Steam. 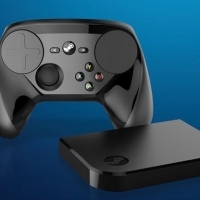 The Mac App Store version of the game is priced to match the other $9.99 desktop version on Steam, coming in at $5 more than the iPhone/iPad app's $4.99 price tag [Direct Link]. Bridge Constructor Portal is a fusion of the Bridge Constructor and Portal franchises, tasking players with building bridges to connect pathways in order to safely traverse large pits and avoid falling to their death. These puzzles are blended with Portal's Aperture Laboratories setting, items, and characters. Elements from Portal include the companion cube, repulsion and propulsion gels from Portal 2, and GLaDOS's narration through all of the player's successes and failures. As a new employee in the Aperture Science test lab, it's your job to build bridges, ramps, slides, and other constructions in 60 test chambers and get the Bendies safely across the finish line in their vehicles. Make use of the many Portal gadgets, like portals, propulsion gel, repulsion gel, aerial faith plates, cubes, and more to bypass the sentry turrets, acid pools and laser barriers, solve switch puzzles, and make it through the test chambers unscathed. Now that the game is available across mobile and desktop devices, Headup Games, ClockStone Software, and Valve are looking toward its release on Nintendo Switch, PS4, and Xbox One "very soon."